Our firm has used Moe’s considerable medical expertise to provide analysis of complicated medical issues, and to assist in the evaluation of medical cases. Moe has been an asset during depositions and trial, and her assistance with locating and contacting experts has been vital. Moe is a delight to work with, and I recommend her highly. 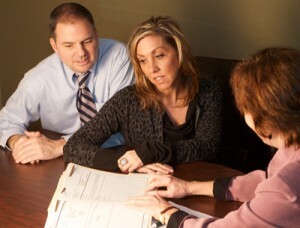 I am an attorney in Oregon who has worked with Century Consulting numerous times. I plan to use them again, because their services are top notch. They are prompt in responding to project requests, diligent in plowing through lots of medical documents, creative in seeking solutions, and reliable in meeting deadlines. Plus, they know their stuff when it comes to explaining medical issues to people who aren't quite on their level. I would recommend Century Consulting to others. I have had the pleasure of working with Moe Jones for several years and found her to be invaluable to our legal team. Moe has an exceptional understanding of complex medical issues and is able to use her many years of clinical experience to help evaluate medical legal cases thoroughly. She has been instrumental in deposition and trial preparation, especially in locating experts. I would highly recommend Moe to any law firm without reservation.